Discrete response patterns in the upper range of hypnotic suggestibility: A latent profile analysis. High hypnotic suggestibility is a heterogeneous condition and there is accumulating evidence that highly suggestible individuals may be comprised of discrete subtypes with dissimilar cognitive and phenomenological profiles. This study applied latent profile analysis to response patterns on a diverse battery of difficult hypnotic suggestions in a sample of individuals in the upper range of hypnotic suggestibility. Comparisons among models indicated that a four-class model was optimal. One class was comprised of very highly suggestible (virtuoso) participants, two classes included highly suggestible participants who were alternately more responsive to inhibitory cognitive suggestions or posthypnotic amnesia suggestions, and the fourth class consisted primarily of medium suggestible participants. These results indicate that there are discrete response profiles in high hypnotic suggestibility. They further provide a number of insights regarding the optimization of hypnotic suggestibility measurement and have implications for the instrumental use of hypnosis for the modeling of different psychological conditions. Copyright © 2015 Elsevier Inc. All rights reserved. Conscious Cogn. 2015 May;33:334-41. doi: 10.1016/j.concog.2015.01.018. Epub 2015 Feb 23. Terhune DB(1). Author information: (1)Department of Experimental Psychology, University of Oxford, UK. Electronic address: devin.terhune@psy.ox.ac.uk. Hypnotizing Libet: Readiness potentials with non-conscious volition. The readiness potential (RP) is one of the most controversial topics in neuroscience and philosophy due to its perceived relevance to the role of conscious willing in action. Libet and colleagues reported that RP onset precedes both volitional movement and conscious awareness of willing that movement, suggesting that the experience of conscious will may not cause volitional movement (Libet, Gleason, Wright, & Pearl, 1983). Rather, they suggested that the RP indexes unconscious processes that may actually cause both volitional movement and the accompanying conscious feeling of will (Libet et al., 1983; pg. 640). Here, we demonstrate that volitional movement can occur without an accompanying feeling of will. We additionally show that the neural processes indexed by RPs are insufficient to cause the experience of conscious willing. Specifically, RPs still occur when subjects make self-timed, endogenously-initiated movements due to a post-hypnotic suggestion, without a conscious feeling of having willed those movements. Copyright © 2015 Elsevier Inc. All rights reserved. Conscious Cogn. 2015 May;33:196-203. doi: 10.1016/j.concog.2015.01.002. Epub 2015 Jan 20. Schlegel A(1), Alexander P(2), Sinnott-Armstrong W(3), Roskies A(4), Tse PU(2), Wheatley T(2). Author information: (1)Department of Psychological and Brain Sciences, Dartmouth College, HB 6207 Moore Hall, Hanover, NH 03755, USA. Electronic address: schlegel@gmail.com. (2)Department of Psychological and Brain Sciences, Dartmouth College, HB 6207 Moore Hall, Hanover, NH 03755, USA. (3)Philosophy Department and Kenan Institute for Ethics, Duke University, Box 90432, Durham, NC 27708, USA. (4)Department of Philosophy, Dartmouth College, HB 6035 Thornton Hall, Hanover, NH 03755, USA. Hypnosis, hypnotic suggestibility, memory, and involvement in films. Our research extends studies that have examined the relation between hypnotic suggestibility and experiential involvement and the role of an hypnotic induction in enhancing experiential involvement (e.g., absorption) in engaging tasks. Researchers have reported increased involvement in reading (Baum & Lynn, 1981) and music-listening (Snodgrass & Lynn, 1989) tasks during hypnosis. We predicted a similar effect for film viewing: greater experiential involvement in an emotional (The Champ) versus a non-emotional (Scenes of Toronto) film. We tested 121 participants who completed measures of absorption and trait dissociation and the Harvard Group Scale of Hypnotic Susceptibility and then viewed the two films after either an hypnotic induction or a non-hypnotic task (i.e., anagrams). Experiential involvement varied as a function of hypnotic suggestibility and film clip. Highly suggestible participants reported more state depersonalization than less suggestible participants, and depersonalization was associated with negative affect; however, we observed no significant correlation between hypnotic suggestibility and trait dissociation. Although hypnosis had no effect on memory commission or omission errors, contrary to the hypothesis that hypnosis facilitates absorption in emotionally engaging tasks, the emotional film was associated with more commission and omission errors compared with the non-emotional film. Copyright © 2014 Elsevier Inc. All rights reserved. Conscious Cogn. 2015 May;33:170-84. doi: 10.1016/j.concog.2014.11.013. Epub 2015 Jan 14. Maxwell R(1), Lynn SJ(2), Condon L(1). Author information: (1)Department of Psychology, Binghamton University, United States. (2)Department of Psychology, Binghamton University, United States. Electronic address: stevenlynn100@gmail.com. The power of the mind over the body is a feel-good cliché referred to by self-help gurus and alternative health care authorities. However, does this have merit – and especially scientific credibility? Or, is this merely idealist hogwash? Hard-nosed scientific medical authorities and other skeptics have a hard time believing that suggestion and imagination can have any effect over the healing process. Even though there seems to be a general acceptance that chronic stress does have long-term medical implications, beyond that many cannot fathom the possibility that how you think will have anything to do the ability for cells and organs to return to a healthy state. Full title: What makes your brain suggestible? Hypnotizability is associated with differential brain activity during attention outside hypnosis. Theoretical models of hypnosis have emphasized the importance of attentional processes in accounting for hypnotic phenomena but their exact nature and brain substrates remain unresolved. Individuals vary in their susceptibility to hypnosis, a variability often attributed to differences in attentional functioning such as greater ability to filter irrelevant information and inhibit prepotent responses. However, behavioral studies of attentional performance outside the hypnotic state have provided conflicting results. We used fMRI to investigate the recruitment of attentional networks during a modified flanker task in High and Low hypnotizable participants. The task was performed in a normal (no hypnotized) state. While behavioral performance did not reliably differ between groups, components of the fronto-parietal executive network implicated in monitoring (anterior cingulate cortex; ACC), adjustment (lateral prefrontal cortex; latPFC), and implementation of attentional control (intraparietal sulcus; IPS) were differently activated depending on the hypnotizability of the subjects: the right inferior frontal gyrus (rIFG) was more recruited, whereas IPS and ACC were less recruited by High susceptible individuals compared to Low. Our results demonstrate that susceptibility to hypnosis is associated with particular executive control capabilities allowing efficient attentional focusing, and point to specific neural substrates in right prefrontal cortex.SIGNIFICANCE STATEMENT: We demonstrated that outside hypnosis, low hypnotizable subjects recruited more parietal cortex and anterior cingulate regions during selective attention conditions suggesting a better detection and implementation of conflict. However, outside hypnosis the right inferior frontal gyrus (rIFG) was more recruited by highly hypnotizable subjects during selective attention conditions suggesting a better control of conflict. Furthermore, in highly hypnotizable subjects this region was more connected to the default mode network suggesting a tight dialogue between internally and externally driven processes that may permit higher flexibility in attention and underlie a greater ability to dissociate. Copyright © 2015 Elsevier Inc. All rights reserved. Neuroimage. 2015 Jun 3;117:367-374. doi: 10.1016/j.neuroimage.2015.05.076. Cojan Y(1), Piguet C(2), Vuilleumier P(3). Author information: (1)Department of Neuroscience, University Medical School, University of Geneva, 1 rue Michel Servet, 1211 Geneva, Switzerland; Centre for Neuroscience, University of Geneva, Switzerland. Electronic address: ycojan@gmail.com. (2)Department of Neuroscience, University Medical School, University of Geneva, 1 rue Michel Servet, 1211 Geneva, Switzerland; Centre for Neuroscience, University of Geneva, Switzerland. Electronic address: camille.piguet@unige.ch. (3)Department of Neuroscience, University Medical School, University of Geneva, 1 rue Michel Servet, 1211 Geneva, Switzerland; Centre for Neuroscience, University of Geneva, Switzerland. Electronic address: patrik.vuilleumier@unige.ch. Hypnosis and belief: A review of hypnotic delusions. Hypnosis can create temporary, but highly compelling alterations in belief. As such, it can be used to model many aspects of clinical delusions in the laboratory. This approach allows researchers to recreate features of delusions on demand and examine underlying processes with a high level of experimental control. This paper reviews studies that have used hypnosis to model delusions in this way. First, the paper reviews studies that have focused on reproducing the surface features of delusions, such as their high levels of subjective conviction and strong resistance to counter-evidence. Second, the paper reviews studies that have focused on modelling underlying processes of delusions, including anomalous experiences or cognitive deficits that underpin specific delusional beliefs. Finally, the paper evaluates this body of research as a whole. The paper discusses advantages and limitations of using hypnotic models to study delusions and suggests some directions for future research. Copyright © 2015 Elsevier Inc. All rights reserved. Conscious Cogn. 2015 Jun 6;36:27-43. doi: 10.1016/j.concog.2015.05.015. Connors MH(1). Author information: (1)ARC Centre of Excellence in Cognition and its Disorders, Australia; Department of Cognitive Science, Macquarie University, Sydney, NSW, Australia. Electronic address: michael.connors@mq.edu.au. Full Title: Epistemological implications of near-death experiences and other non-ordinary mental expressions: Moving beyond the concept of altered state of consciousness. During the last decades an increasing interest has developed in the so-called altered state of consciousness (ASCs); among these, near-death experiences (NDEs) are one of the most intriguing and debated examples. NDEs are deep and universal experiences with a clear phenomenology and incidence, while some of their features challenge the current views of human consciousness (focused on neural circuits and based on the concept of mind as a byproduct of brain circuitry) with relevant epistemological and historical implications. The origin of the ruling mechanist-reductionist paradigm can be traced back to Descartes' radical separation of res cogitans and res extensa and the conflict between the nascent science and the Inquisition; this led to removing the subjective properties of mind from the field of scientific interest, relegating them to philosophy and theology in order to enable the development of modern science. However, the physics of the 20th century has eventually moved beyond the classical paradigm, permitting a profound renewal of scientific interest in the mind. Modern research on NDEs has contributed to reopening the debate surrounding the Cartesian separation, the mind-brain relationship and the nature of consciousness. It is now time to reappraise the relevance, strengths, and weaknesses of the available scientific interpretations of NDEs, their relationship with other ASCs, as well as the very concept of ASC; the latter looks to be ill-founded, suggesting the need for: (a) a revision of the conventional approach to subjective phenomena, including both the third- and first-person perspective; and (b) a deep reflection on the possible links between different non-ordinary mental expression, as regards both their phenomenology and mechanisms from a non-pathological perspective. Copyright © 2015 Elsevier Ltd. All rights reserved. Med Hypotheses. 2015 Jul;85(1):85-93. doi: 10.1016/j.mehy.2015.04.004. Epub 2015 Apr 11. Facco E(1), Agrillo C(2), Greyson B(3). Author information: (1)Department of Neurosciences, University of Padua, Italy; Inst. F. Granone - Italian Center of Clinical and Experimental Hypnosis (CIICS), Turin, Italy. Electronic address: enrico.facco@unipd.it. (2)Department of General Psychology, University of Padua, Italy; Cognitive Neuroscience Center, University of Padua, Italy. (3)Department of Psychiatry and Neurobehavioral Sciences, University of Virginia, United States. During my initial hypnotherapy training, my instructor strongly emphasized that we should always inform our subjects that they could not be hypnotized against their will. Yet over the next couple of decades this claim was constantly contradicted by a string of knowledgeable authorities. These hypnotists imparted technique after technique that proved capable of changing a person's internal representations, emotional states, and behavior completely without the knowledge or pre-approval of a hypnosis subject. After years of active clinical practice, teaching, and writing I have witnessed the power that the hypnotic operator has over others. Even though such an admission may run counter to the dogma that is regularly espoused by the major international organizations, all one has to do is to witness an unintended arm catalepsy during a clinical session or observe a negative hallucination occurring during a stage hypnotist's performance to fully accept my conclusions. Preferences for descriptors of hypnosis: the international point of view. Despite the apparently definitive findings of the Christensen (2005) survey of published members of the Society for Clinical and Experimental Hypnosis (SCEH), disagreement about which term best describes the capacity to experience hypnosis and theoretical preference has continued. SCEH, although international, represents primarily North Americans. Preferences of international clinicians and researchers were inadequately represented, so the authors surveyed preferences from attendees of the International Congress of the International Society of Hypnosis in 2012 in Bremen, Germany. The term trance, translated as trance capacity or trance ability for this study, was overwhelmingly preferred over the other options. Hypnosis was recognized as an identifiable state by 88.46% of respondents, whereas only 11.54% viewed it as a sociocognitive phenomenon (role-play, expectancy, etc.). Int J Clin Exp Hypn. 2015 Jul-Sep;63(3):284-93. doi: 10.1080/00207144.2015.1031536. Munson SO(1), Trenkle B, Gallawa R. Author information: (1)a Washington State University , Pullman , USA. The credibility of any profession or trade relies on a set of generally accepted standards, which lead to a common understanding as to what the public should expect. Educational institutions that train such people, licensure authorities, academic accreditation bodies, and associations and organization of peers generally function to create an aura of officialdom leading to the unquestioned acceptance of those who endeavor to practice any field. Even though there tends to be a multitude of self-styled authorities proclaiming their right to pontificate the "litmus test" for a given field, their acceptability tends to reside less with their vociferousness and more with their compliance with the methodology normally expected by credibility-giving entities. 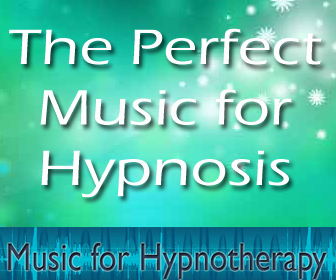 Unfortunately, the field of hypnotherapy is currently falling short. Competing schools and organizations are proffering their own view of standards while failing to realize that their efforts have little similarity to those employed by other trades and professions. Based upon extensive review and deliberation, The International Hypnosis Research Institute would like to attempt to rectify this. Methylphenidate Facilitates Hypnotizability in Adults With ADHD: A Naturalistic Cohort Study. Impaired attention may impede learning of adaptive skills in ADHD. While manipulations that reduce competition between attentional processes, including hypnosis, could boost learning, their feasibility in ADHD is unknown. Because hypnotic phenomena rely on attentional mechanisms, the authors aimed to assess whether stimulants could enhance hypnotizability in ADHD. In the current study, stimulant-naïve patients seeking treatment for ADHD-related symptoms were assessed with the Stanford Hypnotic Susceptibility Scale (SHSS) at baseline and during methylphenidate treatment. Methylphenidate dose and SHSS increase were negatively correlated with baseline SHSS scores. Upon reaching effective doses, mean SHSS scores increased significantly. All patients who had been poorly hypnotizable at baseline demonstrated moderate-to-high hypnotizability at follow-up. The data support methylphenidate enhancement of hypnotizability in ADHD, thus highlighting novel treatment approaches for this disabling disorder. Int J Clin Exp Hypn. 2015 Jul-Sep;63(3):294-308. doi: 10.1080/00207144.2015.1031547. Lotan A(1), Bonne O, Abramowitz EG. Author information: (1)a Hadassah - Hebrew University Medical Center , Jerusalem , Israel. Factor analysis of the elkins hypnotizability scale. Assessment of hypnotizability can provide important information for hypnosis research and practice. The Elkins Hypnotizability Scale (EHS) consists of 12 items and was developed to provide a time-efficient measure for use in both clinical and laboratory settings. The EHS has been shown to be a reliable measure with support for convergent validity with the Stanford Hypnotic Susceptibility Scale, Form C (r = .821, p < .001). The current study examined the factor structure of the EHS, which was administered to 252 adults (51.3% male; 48.7% female). Average time of administration was 25.8 minutes. Four factors selected on the basis of the best theoretical fit accounted for 63.37% of the variance. The results of this study provide an initial factor structure for the EHS. Int J Clin Exp Hypn. 2015 Jul-Sep;63(3):335-45. doi: 10.1080/00207144.2015.1031550. Elkins GR(1), Johnson AK, Johnson AJ, Sliwinski J. Author information: (1)a Baylor University , Waco , Texas , USA. Within the arenas of genius, mastery, and brilliance lay the seeds of evil and destruction. Understanding this is vital to the practice of any healing or helping profession. Consider two medical doctors who could easily be considered extremely capable and effective in their chosen endeavors. One was Albert Schweitzer, who won the 1953 Nobel Prize for his "Reverence of Life" philosophy; the other, Josef Mengele, the Nazi SS physician, who was called the "Angel of Death." Despite the good achieved by the former and the despair caused by the latter, it is very easy to recognize that both had a high level of competency. What I wish to explore is whether the achievement of mastery facilitates the simultaneous probability of significant good and bad outcomes and what we can do to influence the results. Hopefully, the recognition of dichotomy will increase the likelihood that transformation will benefit an individual and mankind as a whole. As a somewhat arm-chair-neurologist, I equate mastery as a physical state in which the requisite areas of the brain are enhanced with thicker neural networks. This increased capability allows violinists to play at the expert level, golfers to improve their handicaps, languages to be mastered quickly, and culinary delights to be produced on a regular basis. On the other hand, when these substrates are enhanced, all of the capabilities related to that substrate become available at an increased level. These capabilities are functional tools. There is no assurance that the end result will always be desirable. The problem is that the increased level of functioning provides the potential for both positive and negative results. The enemy to learning, health, and other human transformation is an inelastic and fixed sense of ego. Hypnosis is a primary tool designed to promote change through the seeking to dissolve the prison in which many subjects have incased their egos. The sense of self that is indoctrinated into most of humanity is also related to the maintenance of disharmonious states, which can also be termed as pathologies and illnesses. Any cursory review of human history will disclose a ubiquitous effort to establish a firm, unchanging sense of self. Writers and thinkers such as Joseph Campbell have even implied that mythology and even the "invention" of religion may serve to satisfy this need. While this article will not question the validity of spirituality or cosmological beliefs, I will recognize that there has always been an urge for individuals to "find themselves." Likewise, communities and organizations also display a tendency to rapidly develop a culture and identity – to which they jealously cling. In the late 18th century the German Idealist philosopher Friedrich von Schiller said that "It is the union of the unconscious and reflection that makes the poetic artist." That one phrase revolutionized how humanity viewed conscious awareness. He introduced the idea that in addition to our conscious awareness that there was another level that was actively working in the background. While he was merely a philosopher – rather than a scientist – his concept of a below-the-awareness consciousness quickly seeped into the lexicon of the rational researcher as an a priori assumption of the existence of an unconscious mind, which is a term often interchangeable with the idea of a subconscious mind. Nevertheless, while few doubt its existence, few have substantially explored its functioning and how it perceives and processes external perception. One such researcher is Norman F. Dixon, PhD, of the University College, in London. He has conducted extensive research into how our mind passively processes perception. He concluded that our senses allow our mind and body to rapidly accept and adapt to both internal and external entities and events. Accelerated learning advocates, such as Paul R. Scheele, MA, of Learning Strategies Corporation in Minnesota, have applied Dixon's work to a variety of self-development programs, many of which tend to claim accomplishments that quickly receive the attention of skeptics. Regardless, the preconscious processing concepts proposed by Dixon and adopted by Scheele are based upon the premise that our neurophysiology is capable of perceiving and processing millions of bits of information each and every second. They claim that respecting this natural human ability allows learning to occur much more rapidly than in occasions when a subject should limit learning to their much slower aggregate conscious awareness, which tends to be retarded or throttled by a miniscule ability to processes information. The advance of civilizations requires the instigation of adaptive change within societies as they are forced to adjust to the pain of famine, natural calamities, and war, as well as to the exigencies of fortune. This may move them in a negative or positive direction. If the latter occurs, a review of history clearly shows that one central theme always dominates human – and that of any organism – accomplishment. That theme is "cooperation. " Indeed, the tendency for elements of a system to work in harmonious effort leads to undertakings that would be impossible – or at least highly improbable – for lone effort. This is true as proteins cooperate to allow cells to live, as cells with common purpose organize and become organs, as organs become aggregate bodies, as bodies become communities, and as communities become nations. The readiness potential (RP) is one of the most controversial topics in neuroscience and philosophy due to its perceived relevance to the role of conscious willing in action. Libet and colleagues reported that RP onset precedes both volitional movement and conscious awareness of willing that movement, suggesting that the experience of conscious will may not cause volitional movement (Libet, Gleason, Wright, & Pearl, 1983). Rather, they suggested that the RP indexes unconscious processes that may actually cause both volitional movement and the accompanying conscious feeling of will (Libet et al., 1983; pg. 640). Here, we demonstrate that volitional movement can occur without an accompanying feeling of will. We additionally show that the neural processes indexed by RPs are insufficient to cause the experience of conscious willing. Specifically, RPs still occur when subjects make self-timed, endogenously-initiated movements due to a post-hypnotic suggestion, without a conscious feeling of having willed those movements. Conscious Cogn. 2015 Jan 19;33C:196-203. doi: 10.1016/j.concog.2015.01.002. Schlegel A1, Alexander P2, Sinnott-Armstrong W3, Roskies A4, Tse PU2, Wheatley T2. Copyright © 2015. Published by Elsevier Inc.
Strangely enough one of the most profound discoveries came not from a neuroscientist, but a Canadian psychologist. In 1949, Donald Hebb, PhD, was trying to explain how neurons reacted to an animal's experience. His focus was on learning and memory. He noted (Begley, 2007) that when a presynaptic neuron's firing changed, the postsynaptic neuron changed as well. This simultaneous response led to the phrase, "Cells that fire together, wire together." The significance of this came from the realization that patterns of synaptic firing followed perceptions and thoughts. One thing that I have learned from theoretical physicists is that we filter an unlimited universe in order to create our perception of reality. This restricts our concept of self, which is very obviously a product of more than just our genetics and the accidental circumstances to which we are born. It seems that since our birth environmental influences began shaping our bodies and minds into what we mistakenly understand as our self-identity. However, if those learned filters are questioned, just maybe we can discover that we are much, much more than we ever imagined. Indeed, within each of us there are endless possibilities. Once we realize this perhaps we can start writing our own story rather than having it done for us. Gazing into the depths of the soul: hypnotism in documentary and instructional film (1920-1936). Although part of the medical fold since the 1870s, hypnosis was long relegated to the margins, recognised and used by only a relatively small group of medical professionals. In the decades around 1900 hypnotic techniques were monopolised as a form of medical treatment through a long and in no way linear process. Hypnosis of laymen was vehemently opposed, however, denounced as being far too dangerous. And yet, medical participation in the aura of spectacular intervention into the human psyche garnered support. The medium of both documentary and instructional film served an important function in this regard, conveying popular interest in acknowledging hypnosis as a scientific method. On the basis of four medically accredited films on hypnosis from 1920 to 1936, this paper attempts to investigate how medical experts and these genres, as part of their effort to claim hypnosis from the realm of public spectacle and parapsychological experimentation, worked to stabilise hypnosis as a purified form of medical and psychiatric practice. Ber Wiss. 2014 Dec;37(4):363-78. Ledebur S.
Expectancies and hypnotic responsiveness: an experimental-design flaw revealed. Recent research suggests that expectancies about being hypnotized have a determinant role in the hypnotic experience. The authors analyzed the relationship between expectancies and the phenomenology of hypnosis using the Phenomenology of Consciousness Inventory and Hypnotic Assessment Procedure. Participants (115) were assigned either to the imagination (hypnosis labeled as imagination) or the hypnosis conditions. Results revealed only a minor influence of expectancies and none on the label "hypnosis" across all variables. These findings indicate that the methodology commonly used to study the influence of expectancies on hypnotic responsiveness and phenomenology might represent a flaw in favor of a causal relationship between expectancies and hypnotic experience. Int J Clin Exp Hypn. 2015;63(2):129-43. doi: 10.1080/00207144.2014.1002713. Tomé Pires C1, Ludeña MA, Lopes Pires C.
Integrative medical interventions intended to address allergies and other autoimmune disorders usually fail to adequately address the nature of the human immune system. The body's homeostatic balance should assume that our immune system can properly identify times when a foreign body is a threat and when it is not. However, to fully understand its true nature and how integrative interventions may apply, the clinician must realize its duality. In 1762, French philosopher and author Jean-Jacques Rousseau (Cress, 1987) said, "Man is born free, but everywhere he is in chains." No statement has ever as eloquently summed up the continuing saga of humanity's struggle between an ever-unfolding potential and limitations imposed by the inheritance of an animal-like nature. Thanks to its massive frontal lobe, the unparalleled ability of the human brain to self-direct continually confronts the instinctual resistance that permeates the neuro-physiological patterns that serve as the "source code" of our existence. Nevertheless, there is a feature in our pattern-driven nature that may also offer our higher-order volition opportunities if we are to grasp its full power. This is the fact that our protective nature – with its competitive and adaptive corollaries – provides us with the capability to continually reinvent our minds and our bodies to address our environment. Should – or when – we prove capable of using our minds to direct this "shape-shifting" ability, just maybe we can increase the likelihood that mankind can finally be free of the chains that Rousseau described. The image of animal magnetism in fictional literature: the cases of Poe, Doyle and Du Maurier. In this article, we focus on the social image of the phenomenon known as mesmerism, or animal magnetism, through analysis of the works: The Facts in the Case of M. Valdemar (1845) by Edgar Allan Poe, The Great Keinplatz Experiment (1885) by Conan Doyle and Trilby (1894) by George Du Maurier. We describe the stereotype of the mesmerist and the uses of mesmerism observed. We pay attention to the spaces and actors of the mesmeric transcript presented in the stories. We consider the reception of these stories by the public and the relationship of the authors with mesmeric and hypnotic knowledge. Nowadays, academic researchers in the discipline of psychology publish articles and books on popular myths about hypnosis in attempts to depict the distorted images related to this phenomenon. This distorted image of the hypnotic process and the hypnotist derives from "circus" hypnotism shows (stage hypnosis), the cinema, television and fictional literature. Works of fiction represent a unique and invaluable source of information, ideas, speculations, concerns and opportunities around animal magnetism and hypnosis, and the exploration and analysis of this literature is an essential chapter in any historical study of this topic. We see how the literary use of mesmerism by Poe, Doyle and Du Maurier is not chance or peripheral, with all three being intellectually interested in and stimulated by these ideas. Dynamis. 2014;34(2):403-23, 274. Bonet Safont JM. The fundamental functioning of the human mind/brain is currently undergoing the most significant shift since the advent of the printing press. Starting with the mid-20th century cultural infection known as the mass media, recent information technology advances are redesigning our plastic brains and affecting how we think, learn, and interact with each other. These profound changes are also redefining our basic nature, creating a plethora of new mental dysfunctions, and necessitating that we relook at just how consultants, trainers, coaches, and therapists ply their transformative efforts. Hypnotherapists who practice their skills as either a profession or a trade must update their methods lest, like the rotary dial telephone, they become an obsolete relic of the past. We have become technological junkies. My desktop is a prime example. I am writing this article on the left screen of my dual screen display. (I often wish that I had more than two.) I have five Internet browsers currently open with a total of 17 active tabs representing ideas, projects, and concerns that are currently occupying my mind. To the right is my palm-sized multi-media cell phone complete with Web and the ability to perform live syncing with multiple social network systems. Then there is my six line phone which came with a 900 page manual, live tech support, and more features than I will ever master. And then on the edge of my desk I am charging the latest addition, which is an Amazon Kindle DX that is connected wirelessly 24/7 as it continually downloads updates of several newspapers and a couple of my favorite magazines. Add to this cacophony of communication technologies the fact that I actively maintain 12 e-mail profiles, over 40,000 Web pages, a couple of Twitter accounts, a MySpace account, and more Facebook personal pages than they would like me to have – and 26 Facebook "fan" pages. Feature-based coding system: a new way of characterizing hypnosis styles. In this pilot study, the authors introduce a new system to assess hypnosis style. The Feature-Based Coding System (FBCS) comprises 24 standard individual hypnosis sessions, which were videotaped and coded according to both a previous and the new coding system. In addition, both subjects and hypnotists filled the Archaic Involvement Measure (AIM), the Phenomenology of Consciousness Inventory (PCI), and the Dyadic Interactional Harmony Questionnaire (DIH). The interrater agreement of FBCS was good and the construct Maternal-Paternal Axis had a good internal consistency (? = .95). Construct validity was also supported by the findings. Based on these results, a larger scale study is warranted to further establish the reliability and usefulness of this tool. Int J Clin Exp Hypn. 2015;63(2):215-35. doi: 10.1080/00207144.2015.1002701. Varga K1, Kekecs Z. Structural and functional correlates of hypnotic depth and suggestibility. This study explores whether self-reported depth of hypnosis and hypnotic suggestibility are associated with individual differences in neuroanatomy and/or levels of functional connectivity. Twenty-nine people varying in suggestibility were recruited and underwent structural, and after a hypnotic induction, functional magnetic resonance imaging at rest. We used voxel-based morphometry to assess the correlation of grey matter (GM) and white matter (WM) against the independent variables: depth of hypnosis, level of relaxation and hypnotic suggestibility. Functional networks identified with independent components analysis were regressed with the independent variables. Hypnotic depth ratings were positively correlated with GM volume in the frontal cortex and the anterior cingulate cortex (ACC). Hypnotic suggestibility was positively correlated with GM volume in the left temporal-occipital cortex. Relaxation ratings did not correlate significantly with GM volume and none of the independent variables correlated with regional WM volume measures. Self-reported deeper levels of hypnosis were associated with less connectivity within the anterior default mode network. Taken together, the results suggest that the greater GM volume in the medial frontal cortex and ACC, and lower connectivity in the DMN during hypnosis facilitate experiences of greater hypnotic depth. The patterns of results suggest that hypnotic depth and hypnotic suggestibility should not be considered synonyms. Psychiatry Res. 2015 Feb 28;231(2):151-9. doi: 10.1016/j.pscychresns.2014.11.015. Epub 2014 Dec 6. McGeown WJ1, Mazzoni G2, Vannucci M3, Venneri A4. Copyright © 2014 Elsevier Ireland Ltd. All rights reserved. High hypnotic suggestibility is a heterogeneous condition and there is accumulating evidence that highly suggestible individuals may be comprised of discrete subtypes with dissimilar cognitive and phenomenological profiles. This study applied latent profile analysis to response patterns on a diverse battery of difficult hypnotic suggestions in a sample of individuals in the upper range of hypnotic suggestibility. Comparisons among models indicated that a four-class model was optimal. One class was comprised of very highly suggestible (virtuoso) participants, two classes included highly suggestible participants who were alternately more responsive to inhibitory cognitive suggestions or posthypnotic amnesia suggestions, and the fourth class consisted primarily of medium suggestible participants. These results indicate that there are discrete response profiles in high hypnotic suggestibility. They further provide a number of insights regarding the optimization of hypnotic suggestibility measurement and have implications for the instrumental use of hypnosis for the modeling of different psychological conditions. Conscious Cogn. 2015 Feb 23;33C:334-341. doi: 10.1016/j.concog.2015.01.018. Terhune DB1. Copyright © 2015 Elsevier Inc. All rights reserved. Those who practice any form of hypnotherapy – to include clinicians whose practice incorporates the rather trendy concept of mindfulness – absolutely must tread carefully if they learn or detect that their patient or client has experienced or continues to suffer from a past traumatic experience. 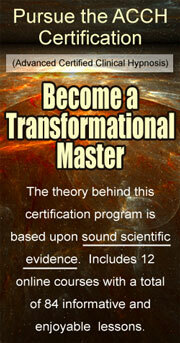 As the power of the hypnosis process relies largely on bypassing some of a person's natural protective faculties (i.e. the innate resistance to pattern change) and very often involves mental reprogramming through association, its use may be contrary to their client's natural defense mechanisms. Careless use of hypnosis can intensify the use of these mechanisms and easily result in long-term suffering. Therefore, the use of hypnosis with trauma patients must be limited to only mental health clinicians, who are specifically trained in trauma care. Our research extends studies that have examined the relation between hypnotic suggestibility and experiential involvement and the role of an hypnotic induction in enhancing experiential involvement (e.g., absorption) in engaging tasks. Researchers have reported increased involvement in reading (Baum & Lynn, 1981) and music-listening (Snodgrass & Lynn, 1989) tasks during hypnosis. We predicted a similar effect for film viewing: greater experiential involvement in an emotional (The Champ) versus a non-emotional (Scenes of Toronto) film. We tested 121 participants who completed measures of absorption and trait dissociation and the Harvard Group Scale of Hypnotic Susceptibility and then viewed the two films after either an hypnotic induction or a non-hypnotic task (i.e., anagrams). Experiential involvement varied as a function of hypnotic suggestibility and film clip. Highly suggestible participants reported more state depersonalization than less suggestible participants, and depersonalization was associated with negative affect; however, we observed no significant correlation between hypnotic suggestibility and trait dissociation. Although hypnosis had no effect on memory commission or omission errors, contrary to the hypothesis that hypnosis facilitates absorption in emotionally engaging tasks, the emotional film was associated with more commission and omission errors compared with the non-emotional film. Conscious Cogn. 2015 Jan 13;33C:170-184. doi: 10.1016/j.concog.2014.11.013. Maxwell R1, Lynn SJ2, Condon L1. Copyright © 2014 Elsevier Inc. All rights reserved. There is a trend in the healing professions that dogmatically mandates a naturalistic approach. It assumes that a person will always move toward a more healthy state, provided that the causes can be split from the symptoms. In the medical arena, this means that too often physicians focus only on eliminating the symptoms and trusting that their patient will naturally return to health. This sick-care approach – versus a health care approach – fails more often than they would like to admit. On the psychotherapy side of the fence, this same approach has been echoed in various schools of psychology. In fact, within the realm of hypnotherapy I see this as the major methodology preached by those who follow Ericksonian hypnosis and solution-oriented hypnosis, its offshoot. The premise here is that the subconscious mind is perfectly capable of finding a solution on its own, although apparently the subconscious mind is what caused the problem initially. Are You Programmed to be Mediocre? A French philosopher once said, "Man was born free, and he is everywhere in chains." No other phrase quite describes the struggle between our desire to be unique and our compulsion to fit in. Yes, we admire those who show us what it is like to be truly different, only to crucify them in the media as we hunger to find their imperfections. The recent Tiger Woods scandals, a spat of US governors resigning due to disclosures of immorality, and billionaires going bankrupt come to mind has glaring examples. The functional anatomy and connectivity of thought insertion and alien control of movement. Alien control phenomena are symptoms reported by patients with schizophrenia whereby feelings of control and ownership of thoughts and movements are lost. Comparable alien control experiences occur in culturally influenced dissociative states. We used fMRI and suggestions for automatic writing in highly hypnotically suggestible individuals to investigate the neural underpinnings of alien control. Targeted suggestions selectively reduced subjective ratings of control and ownership for both thought and movement. Thought insertion (TI) was associated with reduced activation of networks supporting language, movement, and self-related processing. In contrast, alien control of writing movement was associated with increased activity of a left-lateralised cerebellar-parietal network and decreased activity in brain regions involved in voluntary movement, including sensory-motor hand areas and the thalamus. Both experiences involved a reduction in activity of left supplementary motor area (SMA) and were associated with altered functional connectivity (FC) between SMA and brain regions involved in language processing and movement implementation. Collectively these results indicate the SMA plays a central role in alien control phenomena as a high level executive system involved in the sense that we control and own our thoughts and movements. Cortex. 2014 Oct 5. pii: S0010-9452(14)00303-7. doi: 10.1016/j.cortex.2014.09.012. Walsh E(1), Oakley DA(2), Halligan PW(3), Mehta MA(4), Deeley Q(5). Author information: (1)Cultural and Social Neuroscience Research Group, Forensic and Neurodevelopmental Sciences, Kings College London, Institute of Psychiatry, Psychology & Neuroscience, London, UK; Department of Psychological Sciences, Birkbeck, University of London, London, UK. Electronic address: eamonn.walsh@kcl.ac.uk. (2)Division of Psychology and Language Sciences, University College London, UK. (3)School of Psychology, Cardiff University, UK. (4)Cultural and Social Neuroscience Research Group, Centre for Neuroimaging Sciences, Kings College London, Institute of Psychiatry, Psychology & Neuroscience, London, UK. (5)Cultural and Social Neuroscience Research Group, Forensic and Neurodevelopmental Sciences, Kings College London, Institute of Psychiatry, Psychology & Neuroscience, London, UK; South London and Maudsley NHS Foundation Trust, Bethlem Royal Hospital, Beckenham, Kent, UK. Can we escape who we have become? From the moment of our birth our experiences shape who we are. Starting with the genetic makeup, which we inherit from our parents, the people and events that we encounter control the ever evolving wiring in our brain and our physiological reactions. In turn, should these programs include strong chemical responses, we run the risk that the neurological patterns will lead to strong addictions. In very many ways this programming defines who we have become. However, if the results of this process lead to unhappiness or poor health, I would hope that we also have the ability to change. During the first 26 months of life, the parts of our brains that are already present are almost entirely a mass of disorganized neurons. Our experiences – especially when repeated and/or associated with stimulating responses such as excitement – begin emphasizing some networks and subordinating others. This process, which is called differentiation, is accelerated during that early period. As the brain continues to develop, the differentiation process continues. In fact, to some degree this remains an ongoing process through old age. Full title: Recurrence quantification analysis of electroencephalograph signals during standard tasks of Waterloo-Stanford group scale of hypnotic susceptibility. Abstract The purpose of this study was to apply RQA (recurrence quantification analysis) on hypnotic electroencephalograph (EEG) signals recorded after hypnotic induction while subjects were doing standard tasks of the Waterloo-Stanford Group Scale (WSGS) of hypnotic susceptibility. Then recurrence quantifiers were used to analyse the influence of hypnotic depth on EEGs. By the application of this method, the capability of tasks to distinguish subjects of different hypnotizability levels was determined. Besides, medium hypnotizable subjects showed the highest disposition to be inducted by hypnotizer. Similarities between brain governing dynamics during tasks of the same type were also observed. The present study demonstrated two remarkable innovations; investigating the EEGs of the hypnotized as doing mental tasks of Waterloo-Stanford Group Scale (WSGS) and applying RQA on hypnotic EEGs. J Med Eng Technol. 2014 Nov 4:1-9. Yargholi E(1), Nasrabadi AM. Author information: (1)School of Biomedical Engineering, Islamic Azad University, Science and Research Branch , Tehran , Iran and. Mechanisms of hypnosis: toward the development of a biopsychosocial model. Abstract Evidence supports the efficacy of hypnotic treatments, but there remain many unresolved questions regarding how hypnosis produces its beneficial effects. Most theoretical models focus more or less on biological, psychological, and social factors. This scoping review summarizes the empirical findings regarding the associations between specific factors in each of these domains and response to hypnosis. The findings indicate that (a) no single factor appears primary, (b) different factors may contribute more or less to outcomes in different subsets of individuals or for different conditions, and (c) comprehensive models of hypnosis that incorporate factors from all 3 domains may ultimately prove to be more useful than more restrictive models that focus on just 1 or a very few factors. Int J Clin Exp Hypn. 2015;63(1):34-75. doi: 10.1080/00207144.2014.961875. Jensen MP(1), Adachi T, Tomé-Pires C, Lee J, Osman ZJ, Miró J. Author information: (1)a University of Washington , Seattle , USA. Advancing Research and Practice: The Revised APA Division 30 Definition of Hypnosis. Abstract This article describes the history, rationale, and guidelines for developing a new definition of hypnosis by the Society of Psychological Hypnosis, Division 30 of the American Psychological Association. The definition was developed with the aim of being concise, heuristic, and allowing for alternative theories of the mechanisms (to be determined in empirical scientific study). The definition of hypnosis is presented as well as definitions of the following related terms: hypnotic induction, hypnotizability, and hypnotherapy. The implications for advancing research and practice are discussed. The definitions are presented within the article. Int J Clin Exp Hypn. 2015;63(1):1-9. doi: 10.1080/00207144.2014.961870. Elkins GR(1), Barabasz AF, Council JR, Spiegel D. Author information: (1)a Baylor University , Waco , Texas , USA. Over the past few years there has been a constant clamor regarding the wonders of a new version of Positive Psychology involving mindfulness. This leaves me to wonder if there is any substance to this or if it is yet another pop psychology mantra waiting to be pushed aside by the next trend. Is this unjustified panacea, merely yet another placebo claiming wondrous results, or a therapeutically significant concept? My intent here is to explore the origin, foundation, and potential value of mindfulness psychotherapy – and its relationship to hypnotherapy. I first became acquainted with the concept when I attended a three-day workshop jointly conducted by two psychologists at an annual conference held each December in Hilton Head, South Carolina. The presenters were Mark S. Weisberg, PhD, an established authority in mind/body healing who practices in Minnesota, and Ronald D. Siegel, PsyD, who is affiliated with the Harvard Medical School. Since then I have become familiar with the work of Richard J. Davidson, PhD, a Harvard-educated scientist working at the University of Wisconsin-Madison, and Tenzin Nagi, PhD, at Emory University in Atlanta. Worldwide interest in "hypnosis" and "hypnotherapy" has been on a path of steady decline over the past ten years. That is according to trend information that is readily available from Google, Inc. The number of people searching for those two keywords is about half of what it was only ten years ago. This trend is apparently more pronounced in the United States, which has a tremendously large number of Web users. However, it appears that simultaneously interest in the United Kingdom, Australia, and Ireland is rapidly increasing.